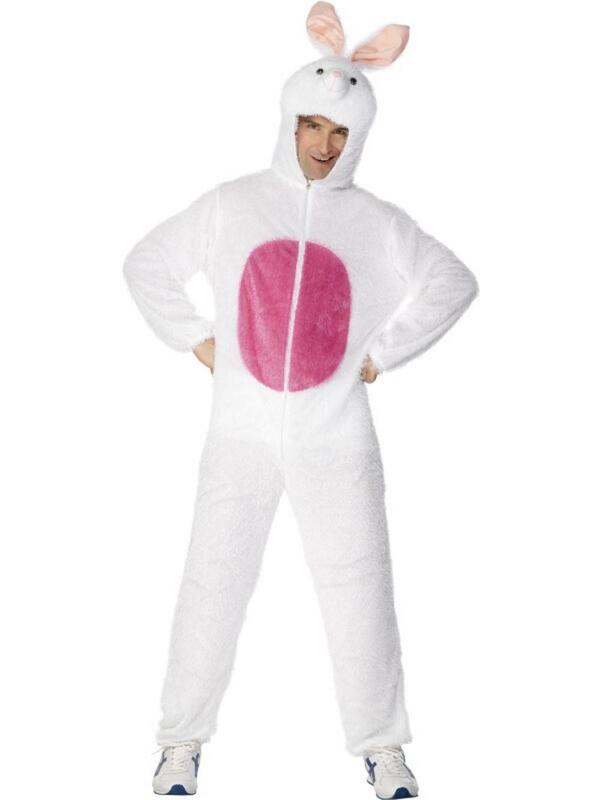 Size Choose Size Large 42-44"Medium 38-40"
This amazing Easter Bunny fancy dress costume is the perfect Easter gift for any adult looking to get into the spirit of things. Imagine your Child's face when they come down on Easter morning and are greeted by a real life Easter Bunny! It is also a great costume for any fancy dress party that has an animal or Easter theme. This outfit cotains everything perfect for transforming you into a giant bunny and will have you hopping along in no time at all. The outfit consists of a plush one piece zip up jumpsuit with attached bob tail, and hood that features the Bunnies face and ears. You'll be eggstatic in this Easter Fancy Dress Costume.